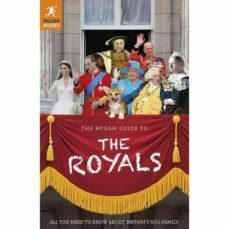 This entertaining Rough Guide to the Royals explores the paradox of one of the world's oldest monarchies. It casts a quizzical eye over the current royal family, from former Olympic horse rider Anne and industry ambassador Andrew to current favourites William and Kate. It answers such burning questions as what they do, where they get their money from, how fundamentally British are they, and just who is twelfth in the line to the throne? (One-year-old Savannah Phillips is the answer.) It looks at the most extravagant royal ceremonies and the most controversial figures, from Henry VIII to the scandalous Caroline of Brunswick (who was banned from her husband's coronation but turned up anyway). The best and the worst monarchs are reassessed, with investigations into how the likes of alleged nephew-killer and hunchback, Richard III, achieved their villainous reputations.